RSVP Gallery alumnus and Chicago native Louis De Guzman just finished a monster run through 2018, and he isn’t showing signs of slowing down. De Guzman’s geometrically abstract art style has garnered global recognition as he applies his aesthetic to prominent pop culture iconography. De Guzman’s sculpture “Elevate” debuted this year at ComplexCon. The black fixture, measuring over four feet tall, features De Guzman’s imagining of Bart Simpson performing a trick on his signature skateboard. Alongside the unveiling, De Guzman and his team released 8.5” retail variations of the work. These pieces sold out in less than a day. 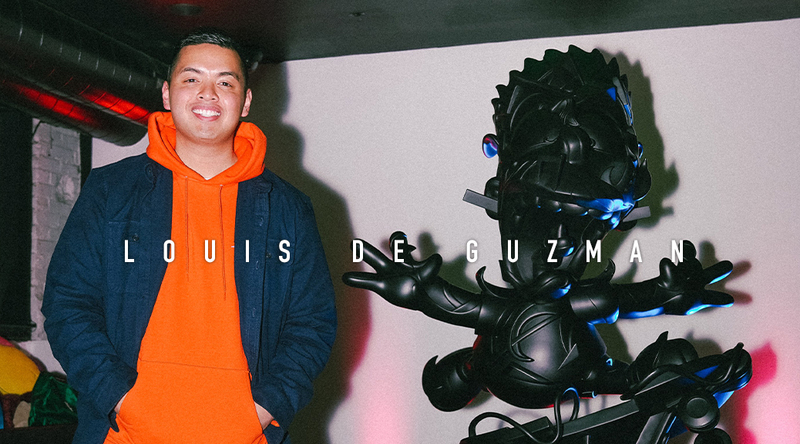 For those who missed out at the ComplexCon release, De Guzman offered another chance to procure a figure, with an online release and exclusive event at RSVP Gallery. 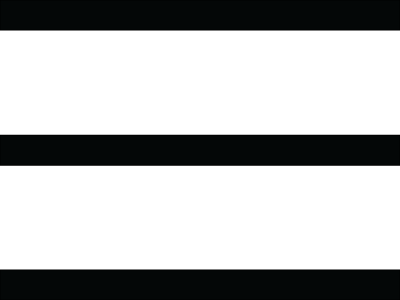 Online stocks ran dry within five minutes and in-store quantities quickly vanished. Q: How did you first get into art? A: I first got into art at a very young age. My mother would take me to craft shows with her that she would attend to and showcase some of her own decorative/personal work that she would develop in particularly during the Holiday seasons; Which is my earliest and fondest memory of gaining that spark in the creative and expressive field. Q: What is your background and is your work tied to your culture? A: I am a proud second-generation Filipino American. And I would say that my culture is definitely tied to my work. Q: What does your work say to the audience? It says that you should always follow your heart into doing what you love the most on the daily and in life. That anything and everything is possible. Q: What is your personal favorite piece that you have created? A: That’s always a hard one since as artists, I feel that we constantly learn and evolve into our next form every day. Fine tuning and perfecting our craft which leads to more developed and more new bodies of work that may not look like something we created five, ten and maybe even fifteen years before. So, I would say everything I’ve created in my life/career thus far has been my favorite, because each piece has been a part of the timeline and journey in continuing to live out these dreams I’ve had since I was a child attending those craft shows with my mother. Q: What has been the most challenging obstacle to overcome and why? A: I would say it’s the obstacle that any and if not most artists face from the start. And that’s being comfortable and confident enough in sharing something so personal on a public level. Putting our emotions and feelings out on mediums for complete strangers to take in and hopefully move with / relate to. Q: Who are your biggest influences and why? A: I would say my family would have to be my biggest of influences. Specifically, my mom and dad. They immigrated to the US from the Philippines in the mid-’80s in search of a better life. Not knowing nor having any promises for what they would come to live and experience in such a desired culture and country to be in, especially back then. Because of their journey and sacrifice, I was extremely lucky to have been born and raised here in the suburbs of Chicago. That alone is my influence and motivation to keep on chasing the dream so that I can be assured to take care of the both of them and the rest of my family now + beyond. Q: What inspires you the most to create your work? A: What inspires me most to create my work is the idea and fact that I never gave up on my passion and my purpose. Knowing that my work resonates with others in the most positive way to help people view and change their perspectives on certain things in the best way possible. Knowing that the work inspires the youth and future creatives and greats to go after their dreams would have to be the second most influential thing for me to wake up every day and create. Q: Who has helped you the most to get to where you are? A: GOD, my family, my friends and everyone that I’ve been extremely lucky to have met along the way, including the RSVP Family. Q: Where do you think you would be if it weren’t for art, is there a different path you had in mind? A: I honestly wouldn’t or couldn’t see myself going down a different path. But if I had to choose, it would probably be something along the lines of social impact through some form of teaching. Q: What can your fans expect from you in the future? A: To even say that I have fans is an extremely humbling word and idea to connect with my work. Always will and forever be grateful for them! They can expect some rad collaborations and projects that the team (Austin Neely, Bradley Butchko and myself) have been cooking up and building up towards for 2019 + beyond. Solo shows internationally and wherever the journey takes us! Super hyped and forever grateful for these moments and see where it’s all falling into place. They can expect my third solo show on Saturday, December 15th here in Chicago. All new original works and concepts that I cannot wait to share with our city! 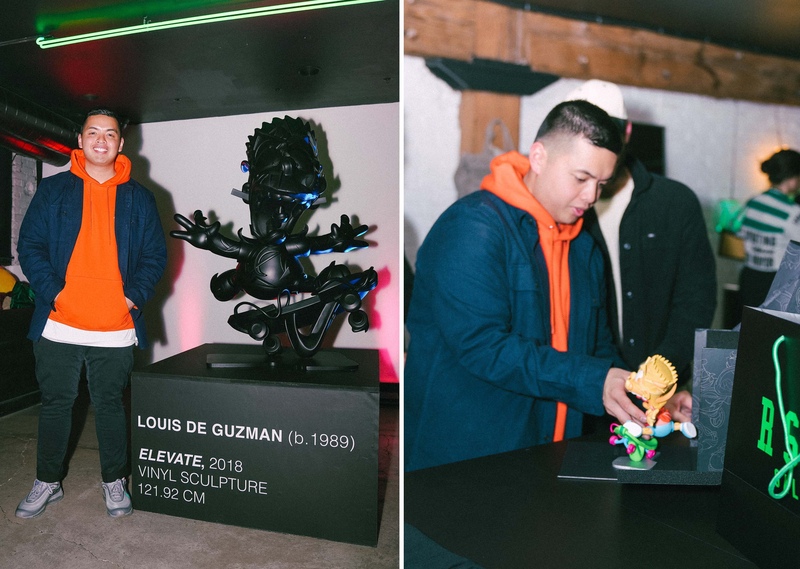 Check out all of the photos from the event and stay up to date on all of his upcoming sculptures and events by following him on Instagram (@LouisDeGuzman).